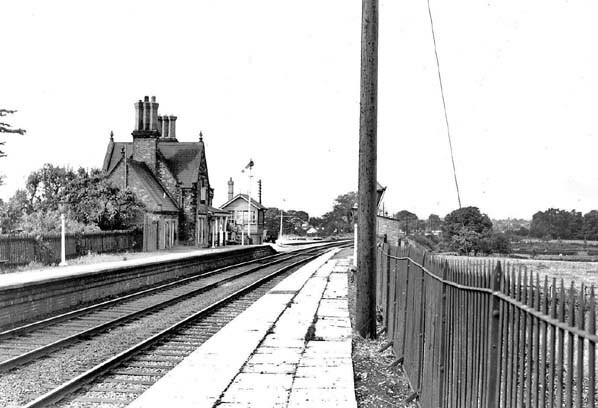 A view looking north-west along the up platform at Rednal & West Felton station shortly after closure. 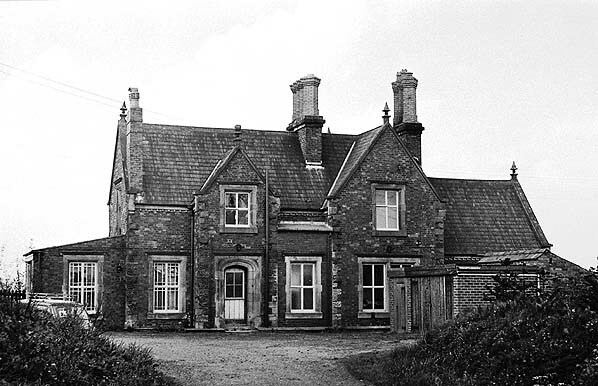 The Rednal & West Felton station building looking north in April 1974. 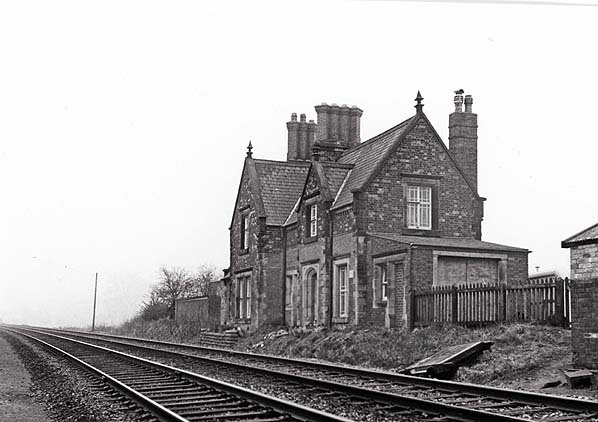 Rednal & West Felton station seen from the up side of the line in April 1974. 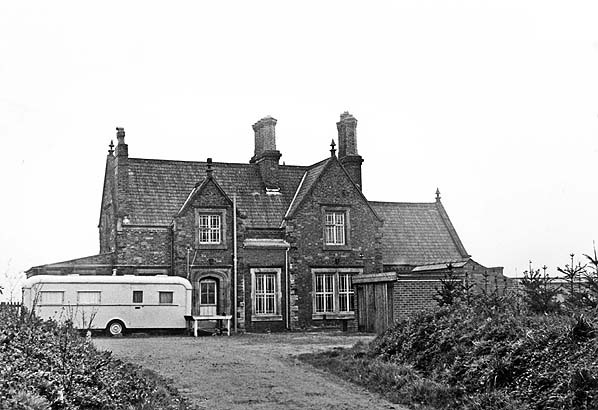 Looking north at the Rednal & West Felton station building in 1975. 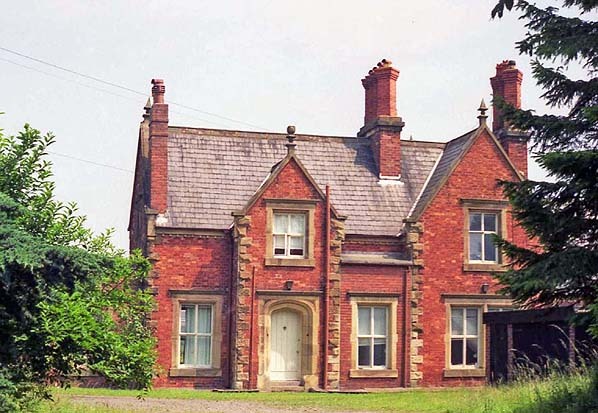 Rednal & West Felton station in 1991. 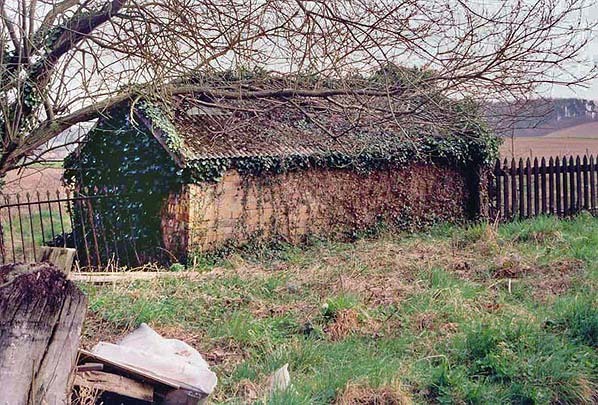 The base of the Rednal & West Felton signal box seen in March 2000. 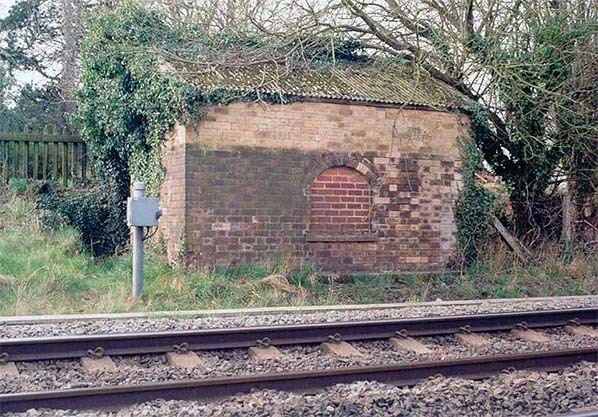 Looking north at the base of the signal box in 2000. 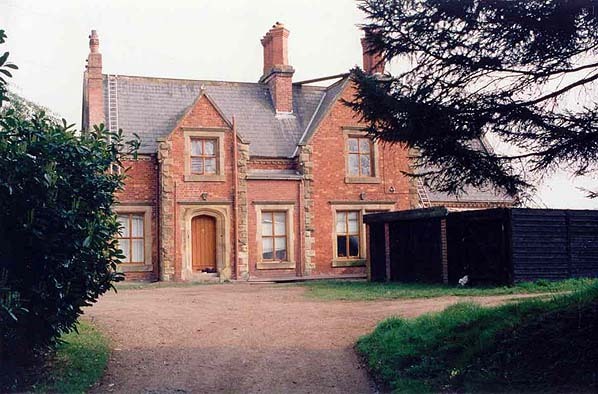 A view of the rednal & West felton station building looking north in 2000. 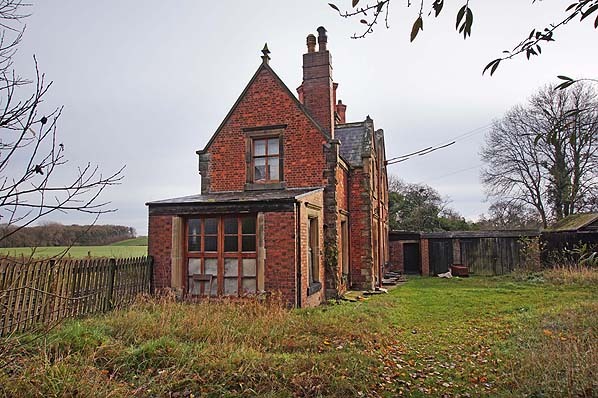 The Rednal & West Felton station building seen on 23 November 2015. 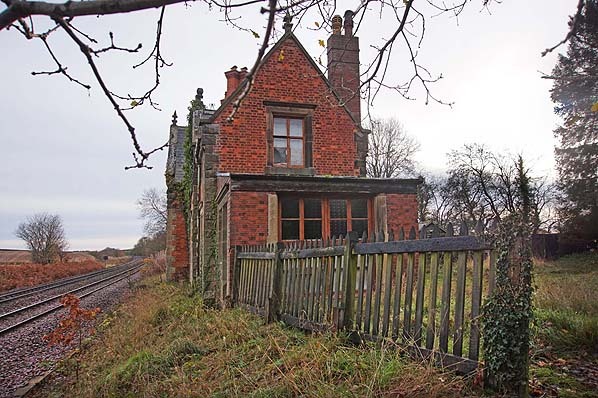 The entrance to Rednal & West Felton station seen on 23 November 2015. 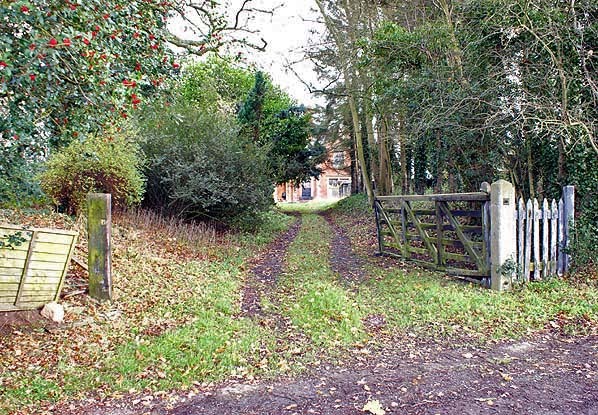 The goods loading ramp at Rednal & West Felton seen on 23 November 2015. 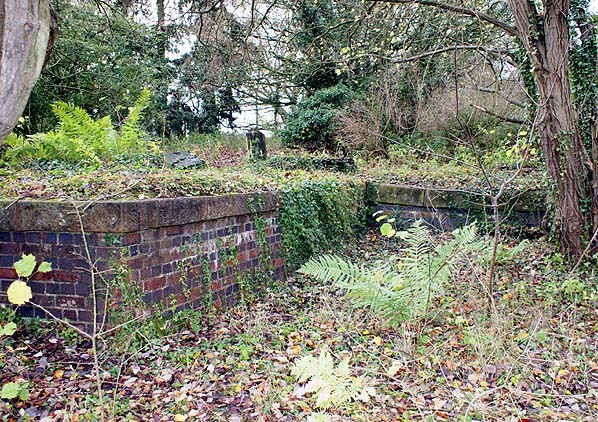 A view looking south-east along the down platform at Rednal & West Felton on 23 November 2015.